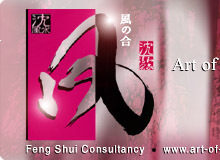 Singapore Feng Shui Master / Astrologer. How can one incorporate the art of Feng Shui into your life with correct balance of energy flow. Feng in Chinese means "Wind" and Shui means "Water". By the law of nature, "Qi" is carried and dispersed by the wind and preserve in the water. It is about understanding of these metaphysical forces of nature better known as "Qi" in Feng Shui's term, to be able to manipulate them to enhance your life achievement; like your career, health, relationship and business success. Formerly known as "Kan Yu", it is the art of living in harmony with the nature environment; to seek harmony with the natural way of the Earth. Through living in harmony with the nature, one is able to attain beneficial changes in life with good health and better fortune. 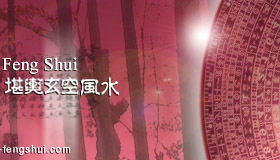 Traditional or Classical Feng Shui practice can be segregated into two main groups: San He and San Yuan. These two classical schools of traditional Feng Shui have carved out the path to most of today's Feng shui practices. San He, considered the oldest form of Classical Feng Shui has been around since the Tang Dynasty. They formulate their system based on the surrounding environment. They study landforms and features, analyzing on the appearance, characteristics, forms and flow of them in particular, water; how they may actually influence the life fulfillment of one's who is living within the proximity. In simple, they are the surrounding features that you are seeing around your house. They may be natural features like mountains and rivers or man-made features like buildings and roads. San Yuan was later found towards the end of the reign of the Ming Dynasty. The main principle as San He remains but they however formulate their system basing it more on the aspect of time. They study on the quality of "Qi"; how the "Qi" of the house of one's may influence his or her life fulfillment as they changes in each cycle along time. Today, the combinations of these two classical studies are being used widely, bringing Feng Shui to another greater height. Feng Shui is definitely not a superstitious belief. It is about enhancing and harmonizing the flow of energy in the environment. 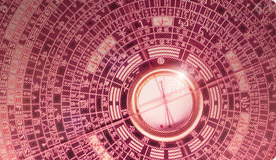 With the correct application of Feng Shui, it can help you achieve better fortune and success in your destiny. How can Feng Shui help in balancing our life and environment?